Earlier this year I trained as a Restorative Justice practitioner. Restorative justice is a fantastic concept which allows victims of crime to sit down with the perpetrators to agree on a way of putting right the wrong. Some of my colleagues have already been involved in local projects where young people have worked hard to put something back into their community to make up for crimes such as graffiti or vandalism. 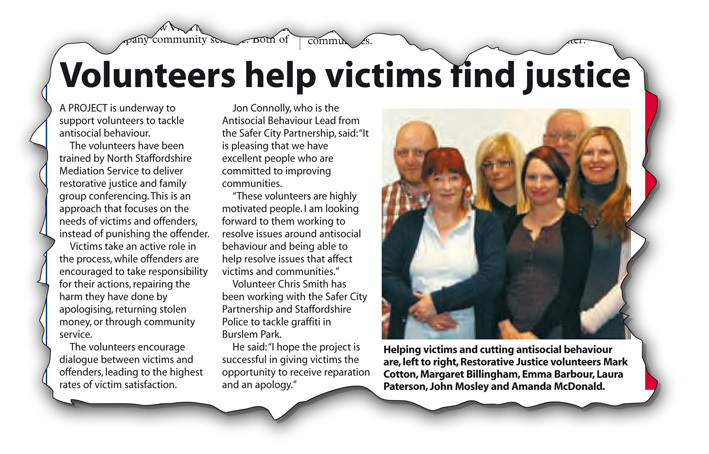 It’s a great way to show people the consequences of their actions, as well as helping the victims of crime to feel that they have been listened to, and that the perpetrator has gone some way to make amends. Watch this space for more news!